Candidates Age Limit: The age of the candidate should not be less than 18 years and should not be more than 28 years. The age of the applicant should be as on 1st January 2016. Academic Qualification Details: Candidates should have passed +2 class as one of the regular subject from the state board / any recognized or university with at least six month basic computer course / matric / Graduation / Diploma OR should have passed matriculation from the state board of education / any recognized board and one year certificate of computer hardware / diploma etc.or should have passed matriculation from the state board of education / any recognized board and one year certificate in computer operator and programming / diploma etc. Details of Fee particulars: All the interested and eligible candidates are need to pay application fee Rs 400/- for general categories candidates and Rs 100/- for schedule caste categories candidates / schedule tribe categories candidates / Backward class categories candidates through Net banking / credit card / debit card or Challan / Ex-servicemen categories candidates are exempted from payment of application fee. 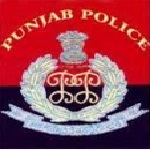 Process of applying for the job: Candidates may apply online through official website of Punjab Police http://punjabpolicerecruitment.in from 16th August 2016 to 5th September 2016.